Launched in 2017, The Sun Play Casino is brought to you by the famed newspaper company The Sun. When you log on to the site, one of the first things that you will notice is that it is built around the colour red. It does come as a surprise that the design does not hurt the eyes since it is packed with images of the best slot games that you can play at The Sun Play Casino. This online casino chose to use the Nektan platform, which is one of the fastest growing providers right now. With a wide variety of games to offer, The Sun Play Casino also welcomes some of the big names in the gambling industry, including Microgaming, Iron Dog, Gamevy, and NetEnt. The casino is also one of the few websites where you will find a ton of games from Eyecon. The Sun Play caters to mobile users, which is emphasised by the button that says Play on Mobile on every game available. The mobile first basis allows the smartphone and tablet users to play online using their browser without needing to download any additional app. Whether you want to play the popular slots games or table games on the website, you can easily control them with your mobile device. You do not have to worry about the games losing their quality when you switch to a smaller screen, which is one of the issues of some players of other online casinos. Meanwhile, desktop players will find a huge collection of games. In fact, they can choose from over 600 slots made for desktop, while mobile players have more than 580 games to choose from. 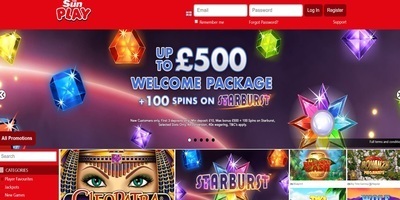 For a limited time, new players can get as much as £100 on their first deposit, along with 50 free spins, which can be used on Starburst slots. You will need to enter a code to get this bonus and you have to deposit £25 first. It is important that you meet the criteria before trying to join. All players must be at least 18 years old to qualify. The Sun Play Casino provides many games from the top developers right now, including Nektan, NextGen Gaming, and Aristocrat. 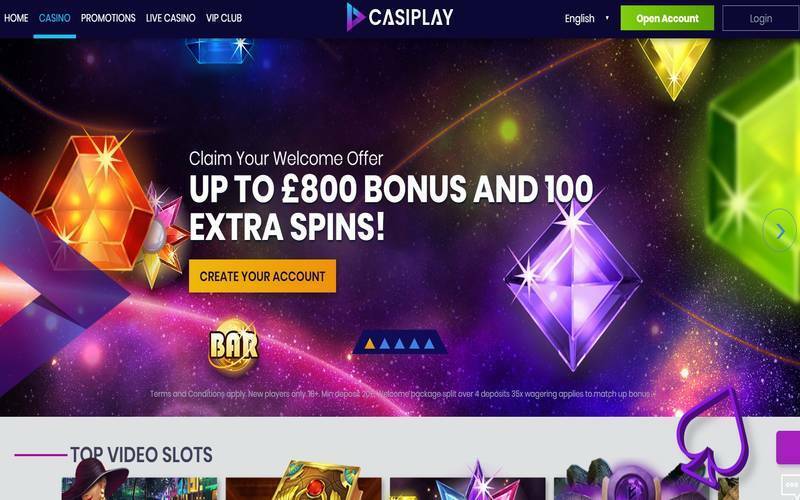 While you can find other casinos with some of the popular games on this site, The Sun Play Casino offers games that are only available on sites that run on the white label licence of the Nektan platform. Therefore, some titles here are hard to find at other online casinos, making this virtual establishment a great place to find unique games. The casino helps you choose various titles, including those with promotions and the top games being played by most players. If you want to see the list of the newest games introduced on the website, you can find a tab where all the freshest games are categorised. Among the popular titles on this online casino are Look for King Kong Cash, Action Bank, BarBar Black Sheep, and Rainbow Riches Free Spins. Players are allowed to withdraw their funds, which usually take some time up to seven days. The minimum amount that you can withdraw is lower than other online casinos, which is £20 and that is a great thing. You can enjoy your winnings in cash after your pay-out request is processed.